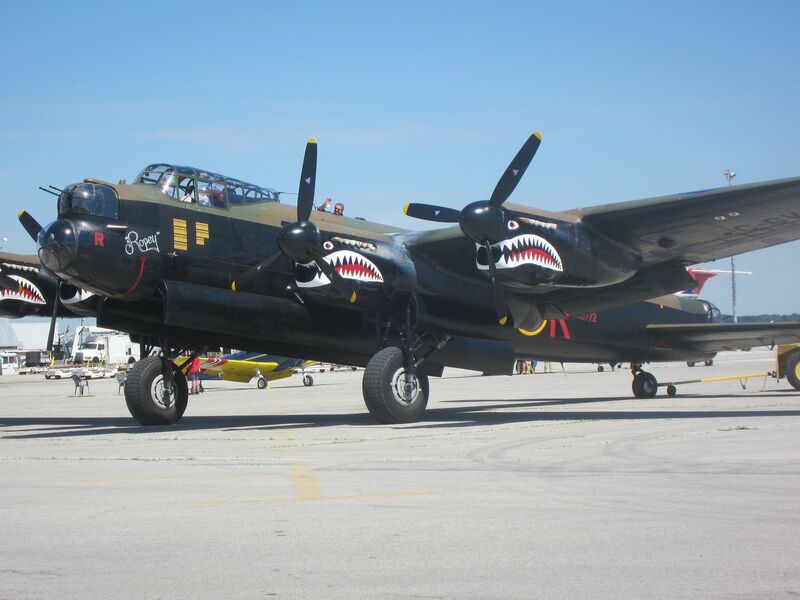 So at last weekend's Skyfest event at the Canadian Warplane Heritage Museum, the museum painted different markings on their Mynarski Memorial Lancaster which featured shark mouths on all four engines. Does anyone here know the story behind these markings? They certainly give the plane a different look. Sorry for the photo quality but all I had was a small point and shoot camera. 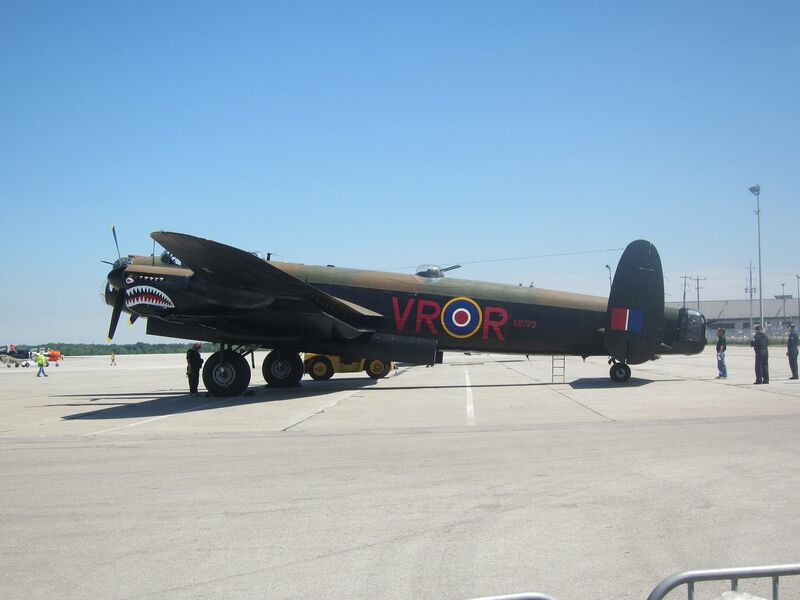 R for Ropey was a 419 Squadron RCAF Lancaster. It flew quite a few missions I believe, not sure how many but I think it survived the war. There are a couple of pictures of it around. You know what I like about those pictures? Look at how many dents are in the cowlings and bomb bay doors and this is on an aircraft flying in peacetime. Then we are modellers get so fussy when a panel doesn't quite fit. You're right about all the dents and dings. The plane was covered in them from top to bottom. The flight crew actually set up ladders at the nose and rear so that the crowd could walk/crawl through the plane. Both me and my friend's son were just about done at that point so we thought it best that we not line up and check it out. Maybe next time. That makes me so frustrated when people tell me they attended airshows (especially those in the US and Canada) where they have climbed in and around aircraft. Here in Australia, everything is roped off by 20 yards, it's annoying! Yea, I had the opportunity to walk through a B-29 here a few years ago, but the line was crazy long, so I went through the B-17 instead. I still have photos here somewhere. Hold on, are we saying that these markings (the shark mouths) are WWII authentic?? My guess is no way, but hey what do I know? Is it coming to the UK like that? Yes they are authentic, and no unfortunately those markings are temporary and will be removed before the trip to the UK. Here is a wee write up of Ropey. Â£107.50 plus delivery for a 1/144th bomber + base! Nice photographs Carl (I hope that I might be lucky enough to see it by passing through my area during August). This scheme is my all time favourite Lancaster scheme - one that I will reproduce one day in small scale as a personal memory to my father, who had the Airfix kit, which he intended to make, but sadly passed away before he was able to. I hope you get the chance to see it on your side of the pond Derek and Andy. 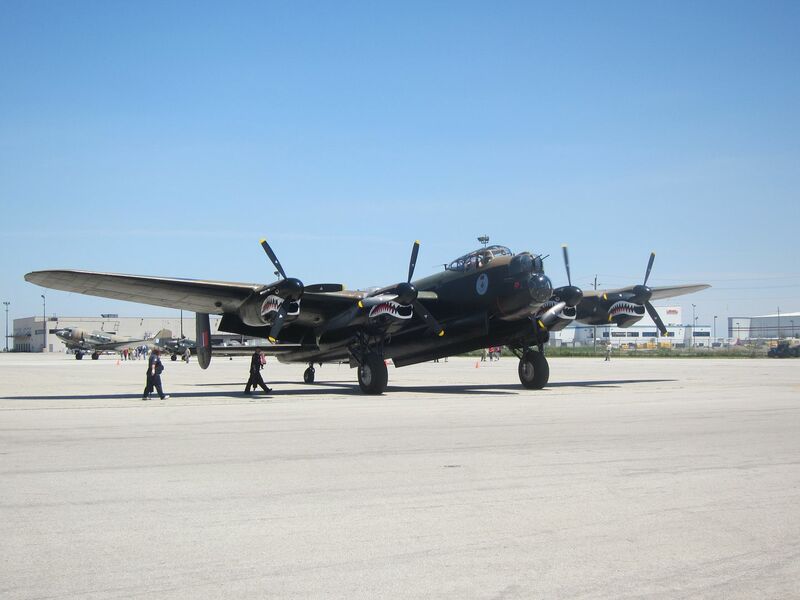 At the end of one of their flight demos, they taxied the Lanc to about 10m from the crowd and revved up all four Merlins before shutting them down. To say that was awesome would be an understatement. I think we should convince one of the decal makers to do a set. 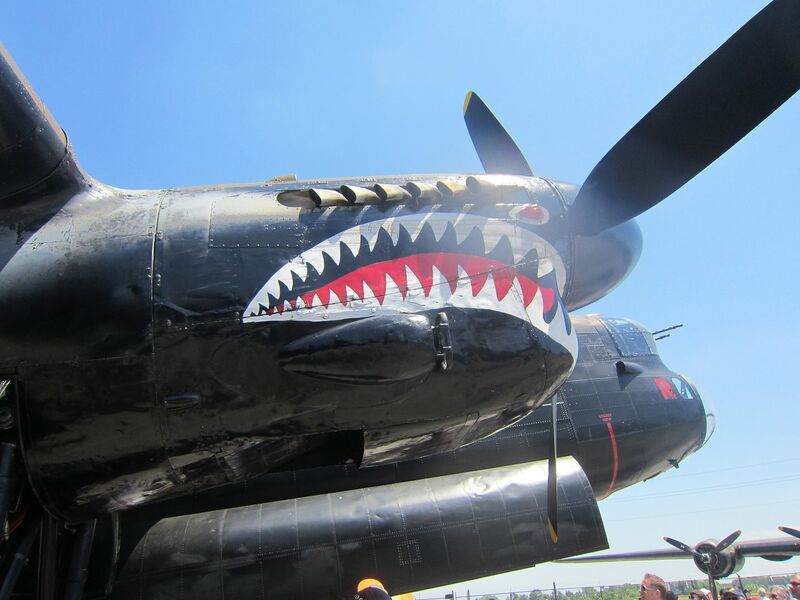 We could start with Kits-World or Aviaeology since Kits-World already do the CWHM Hot Gen B-25 and Aviaeology specialize in WWII RCAF aircraft. Very nice of you to say so Carl, I'm hoping they fly over the Derwent Dam - which was used as practise for a little known raid - that's not too far from me. It would be great also to see them fly over Manchester where they were originally built.